Ahead of the Dubai International Motor Show, Infiniti, one of the region’s fastest growing premium automotive brands today announced the Middle East debut of the design-halo Q80 Inspiration and the stunning two-door Q60 Concept. “At this edition of the Dubai International Motor Show we will have the largest volume of news in the history of Infiniti in the Middle East,” said Juergen Schmitz, Managing Director, Infiniti Middle East during an exclusive pre-motor show briefing. 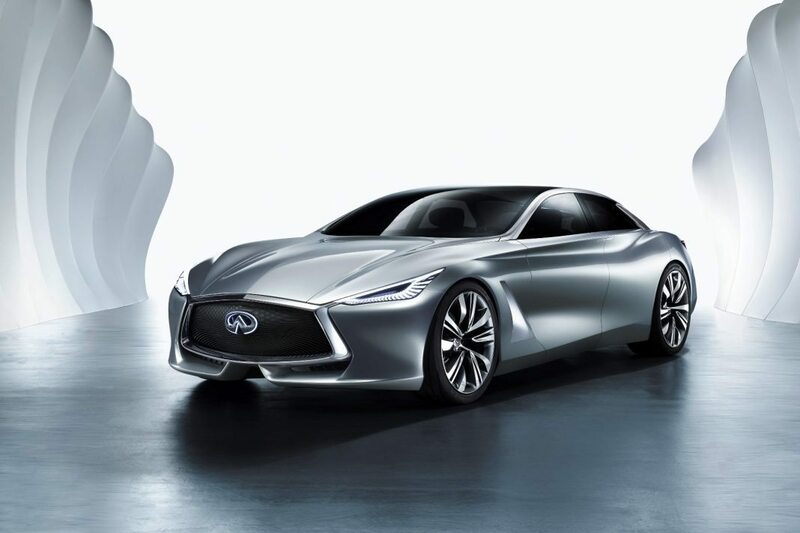 Initially unveiled at the Paris Motor Show in 2014, the design language of the Infiniti Q80 Inspiration forms the design DNA blueprint for Infiniti’s existing and future models. 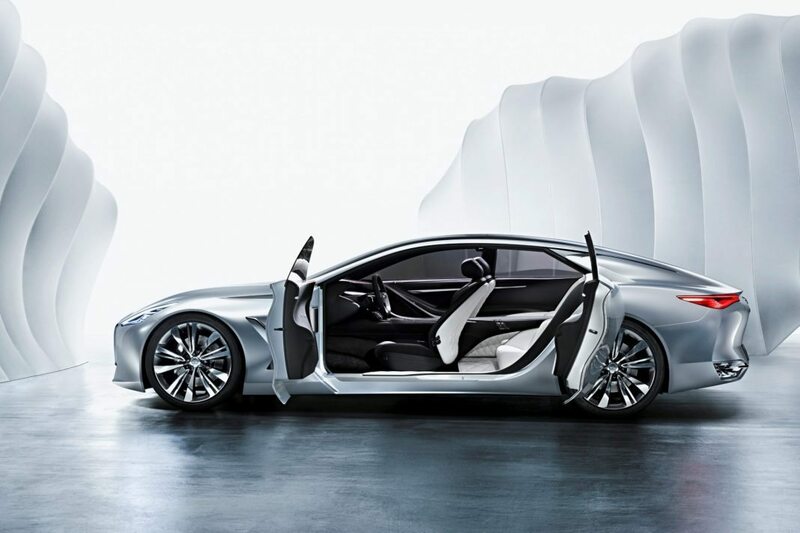 On the Q80 Inspiration concept, the organic and three-dimensional grille functions much like the pulsing gills of a cruising shark, opening and closing to control air flow into the engine. Infiniti’s hallmark headlight takes after the human eye, with the horizontal lighting signature intersecting across a third of the projector, giving the headlamp a stare that is both inviting and intense simultaneously. Another design feature special to Infiniti is the crescent cut C-pillar, which draws creatively from the first or last phases of the moon when only a sliver is visible. It has also evolved from a stylistic flourish to become an integral part of the vehicle structure. The Infiniti Q60 Concept, is an original and bold reinterpretation of an elegant lifestyle 2+2 coupe. Infiniti designers wanted to create a sports car that is power and performance personified. They gave the Q60 Concept taut lines, razor-sharp edges, and strikingly deep recesses in the body sides – culminating in a potent road presence. The Q60 Concept’s sleek and aerodynamic design is anchored by its deep double arch grille, whose elaborate waved mesh pattern gives it a three-dimensional quality. From the grille, the flowing character lines rise and merge into the headlamps, drawing attention to the intelligent LED lights. These adaptive headlamps react to the steering, speed and elevation of the car and automatically adjust the beam around each bend to illuminate the road ahead. While the familiar asymmetry from the top of the center cluster to the wide center console has been updated to make it more fluid, the center console continues to demarcate the driver and passenger zone. Carbon fibre in the door accents echoes the performance of the car while high-quality driver-oriented controls intuitively build driver confidence. On a business level, Infiniti continues to excel on all cylinders. An aggressive network expansion strategy as well as focus on the product front (recently launched Infiniti Q70) has allowed the brand to enjoy a consistent growth in the region – delivering almost 6,300 vehicles to customers at an increase of 20%. “Across the board, our brand continues to experience phenomenal growth in the region. This is largely due to the iconic vehicles we offer our customers that have the perfect blend of performance and innovation. As we gear up for the Dubai International Motor Show, our customers can be assured that we have a few more surprises in store – all of which we are confident will help to continue to add to Infiniti’s momentum in the Middle East,” concluded Schmitz. The Infiniti stand will be located in Sheikh Saeed Hall and will be open to the public from the 10th of November from 6:00pm – 10:00pm and the 11th till the 14th November from 10:00 am – 11:00pm.